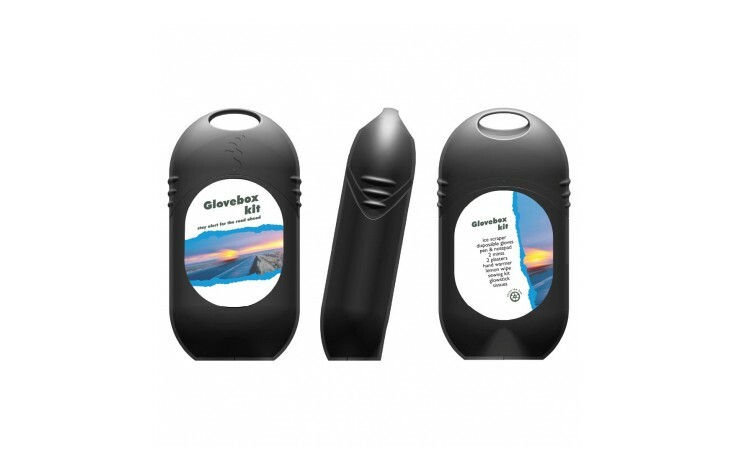 Be prepared for every eventuality with our custom branded Glovebox Kit! This super handy pod comes in a range of colours and contains an ice scraper, disposable gloves, pen and notepad, 2 mints, 2 plasters, a hand warmer, lemon fresh wipe, sewing kit, a glow stick and tissues! Print in up to full colour as standard to the front and back labels for maximum brand exposure.